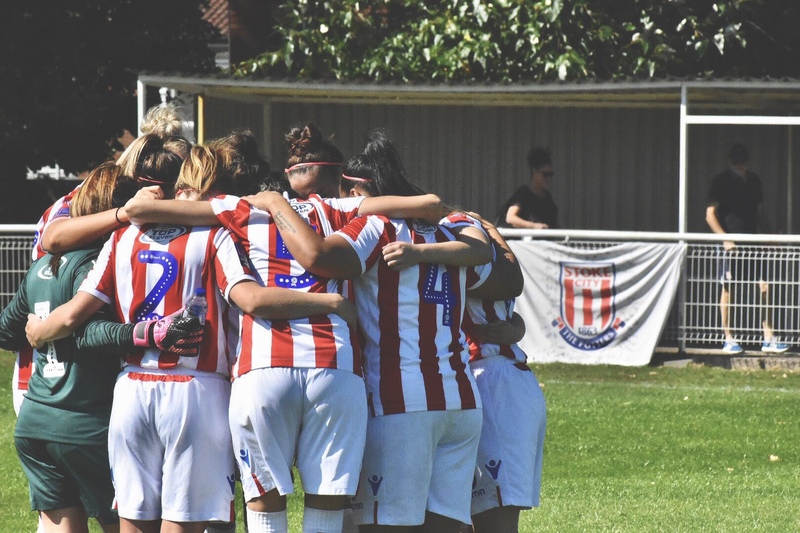 In the second of our special series of interviews where we aim to introduce you to a team playing in within the women’s football pyramid, I catch up with Faye McCoy as she introduces us to her Stoke City Ladies side. 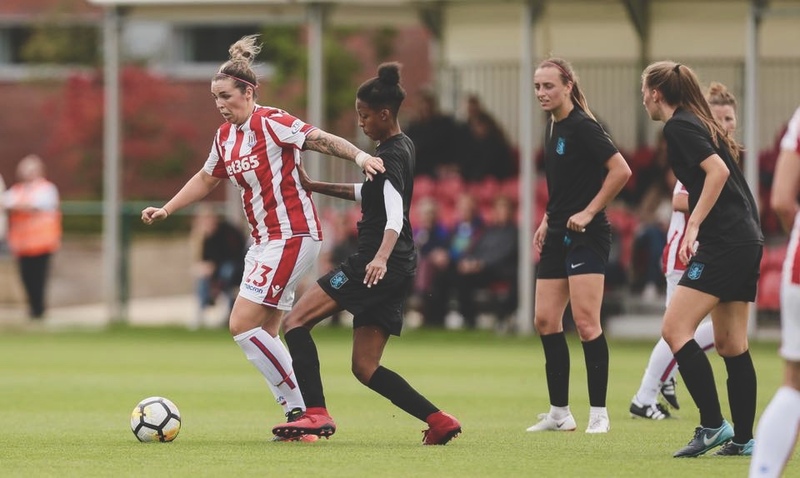 Faye: This is my second season at Stoke City, I first joined in the season 2015/16 before moving to Blackburn Rovers for a season spell. 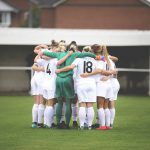 We had a great season which resulted in us winning the FA Women’s Premier League while being unbeaten. However, it’s great to be welcomed back at Stoke City, it’s a great club and feels like I have come home. I am a central midfielder with a bit of a free role getting forward. I have started the season with six goals in six games and hopefully I’ll add more to that tally throughout the season. 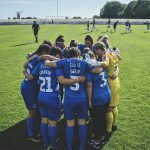 We are currently in FA Women’s National League. We always finish as high as possible improve on last seasons position and try and have a good cup run along the way. We play at Community Drive, Stoke on Trent. 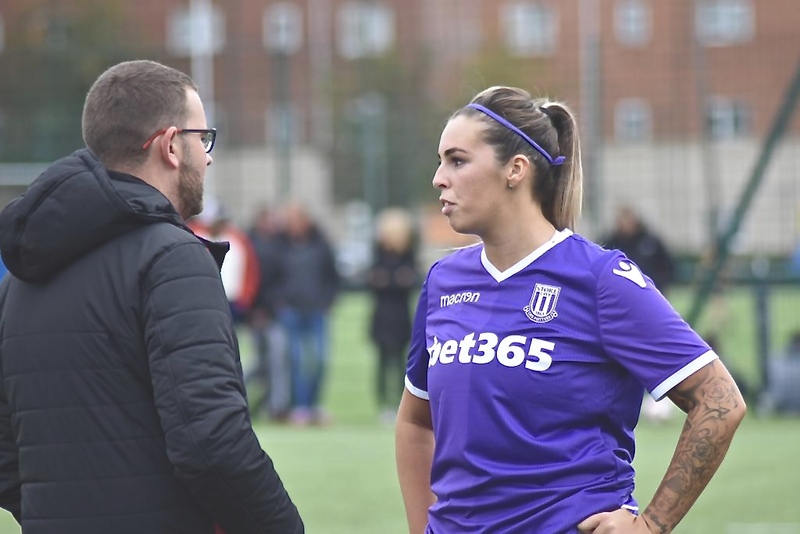 Tim Dudding, he’s a young coach who has only recently became part of stoke city ladies within pre-season after spells at West Bromwich Albion Ladies and also Wolverhampton Wanderers Women. He is a confident and very technical coach who demands the best out of each individual and the group collectively he has a big future ahead of him. When he first stepped on the training pitch we all knew he had a great deal of knowledge and fitted in well with the club we were all excited to get the season started with Tim’s plans ahead of us. 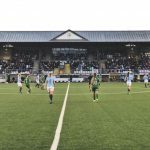 We have recently been working on various different formations lately which is giving us the opportunity to adapt to each game differently when needed to get a result or with the players we have available on that day. 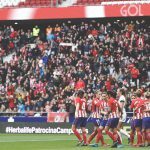 I think it’s key part of the game to be able to adapt to different formations. However, we do like to be positive and score goals and are very attacking minded. 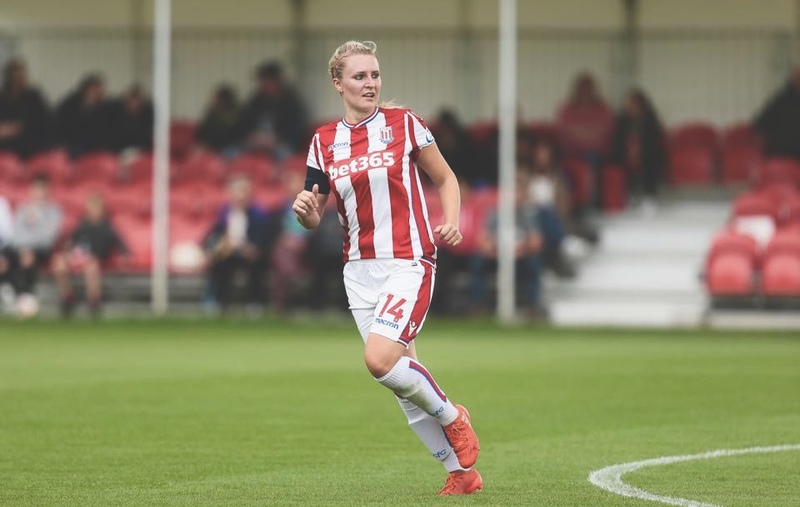 Our club captain is Meg Bowyer, she’s been at Stoke City of a number of years now. She’s out and out central defender, a great leader and not shy of a yellow card. 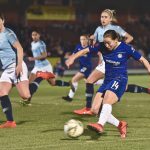 She’s one of the older players in what is quite a young side. 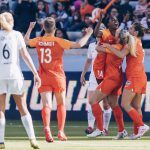 Her experience at this level is invaluable to our team and is a winner. She’s the club joker and the female version of James Milner (Boring James Milner). As I said I earlier in the interview we are quite the attacking side! 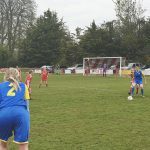 Saying that a few of our defenders have popped up this season, however, myself and Hannah Keryakoplis are in the running for top goalscorer this season both sitting on six goals. 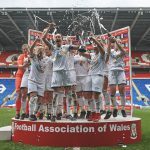 Cassie Hyde, she is an all-round leader and role model she’s been at the club for 15+years I would say one of the best in her position in our league. Her commitment and passion for the club is second to none. 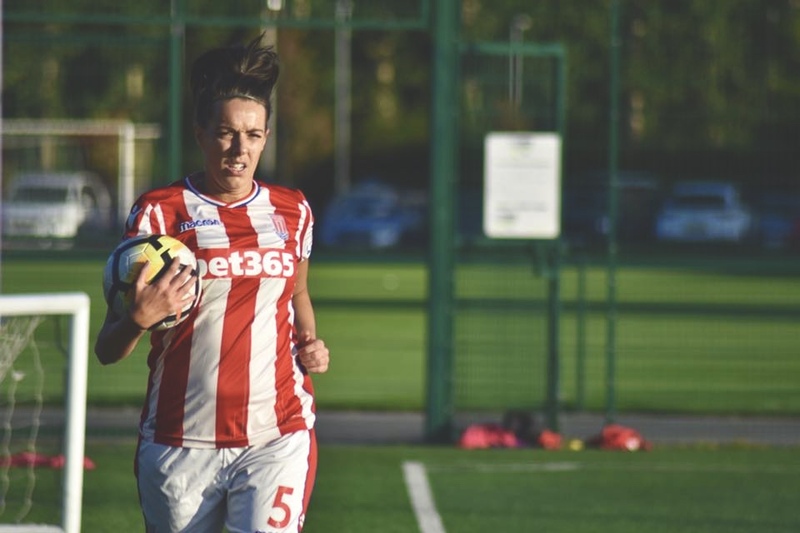 Defenders don’t get much praise for the work they do but she’s a key part of our back line and a huge part of Stoke City Ladies. Mrs consistent 110% performance every week. Our left back, Beth Roberts, she recently came into our first team this season and has never looked out of place. At 17 years old she’s a very confident left back with great technical ability and definitely one to watch. 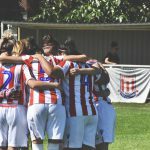 We can be found on Twitter and Instagram at @SCFC_Ladies, as well as on Facebook. 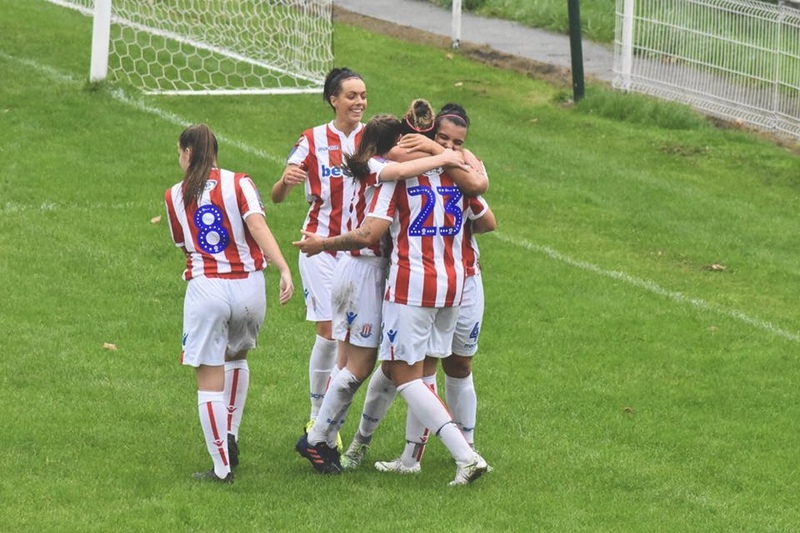 Faye is mobbed by her Stoke City teammates after scoring.